Just joined the Forum and considering purchasing a Comanche 250 in Smithfield OH, just outside Cleveland. Would anyone have some to recommend that could conduct a Pre Buy inspection in that area? I'm a long time pilot and current owner of a Vans RV-7A. But looking to move into something with more room, and the RV-10 is out of my price range. I've considered several like the C182RG and others, but keep coming back to this Comanche (N787KS). It has some updated avionics, speed mods (don't want to take a hit in speed), and by looking at the paperwork, it seems to be well maintained. Really appreciate any help with a Pre Buy! Hi, I'll research that question later today or tomorrow. Right now, I suggest you read an article we wrote on this very subject. 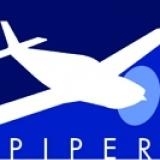 Here: www.piperflyer.org/piper-models/piper-si...e-buyer-s-guide.html .